Alison Liebrecht is known for teaching the Energizer Bunny to smile more. No, really. That being said, her life prior to mountain biking was an epic search to find an activity to wear out her body and mind and to channel that energy in positive ways. In mountain biking she quickly found a fun-loving community that, in turn, pushed the limits of what she had for herself. Discovering the benefits only made her want to share that with others. ICP offered a way to bring people together for continuous skills improvement and foster community with those people. 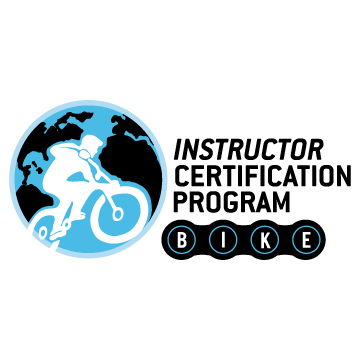 Alison’s ethos is to “Give Back.” Whether as volunteer and later a coach at The Trek Dirt Series Mountain Bike Camps as well as through local biking organizations like The San Diego Mountain Biking Association, she uses her Level II ICP certification helps her to inspire others to bike, protect the trails, and support the organizations that grow the sport. She’s actively helping to develop community with our alumni and looks forward to connecting with you! Outside of biking, you can find her playing with her rescue dog, Rory, or at the skatepark with her quad skates.